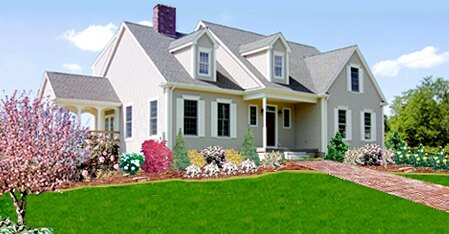 Landscape Vision is an easy to use landscape design software application that produces amazingly professional results. Who needs fake looking drawn plant images or skimpy plant data bases? The landscape of your dreams is within your reach! 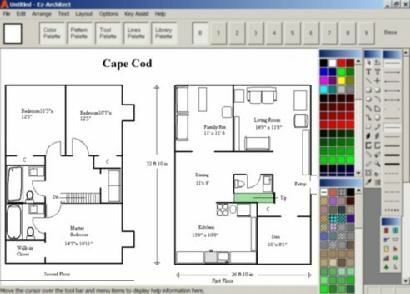 The program works with Windows XP, Windows Vista, Windows 2000, Windows Me, Windows Server 2008, Windows 2003, Windows 7 and 8.
is accurate and easy to use home design software! Ez-Architect for Windows Vista and Windows 7, 8, 10 is a full featured home design program. With this tool-driven home design program, planning and drawing your new floor plan in the precise 2D top view is a snap. Our Ez-Architect interiors library gives perspective views of your rooms. It has 968 objects! It’s compatible with Ez-Architect. 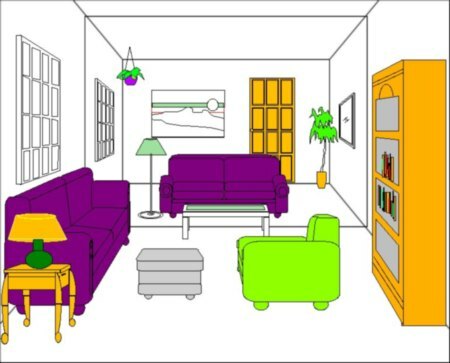 Another of our programs that works with almost anything is our Clipart Library: Home Design and More which has 2471 clipart images in 37 folders. It’s compatible with any PC or Mac program that can import images.